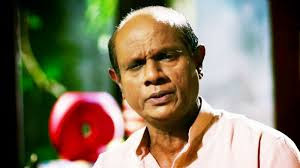 Veteran vocalist Amarasiri Pieris lodged a complaint at the Anuradhapura Police on February 11 alleging that the organisers of his Unmada Sadanam solo musical show scheduled at Swarnapali Balika National School that day had failed to pay him the Rs. 750,000 charges as agreed upon. Anuradhapura Police immediately responding to the complaint visited the organisers including a woman who had booked in at a hotel in Anuradhapura and took steps to solve the issue with the organisers agreeing to pay him the money as promised. Since fans who had purchased the tickets had arrived at the venue already despite the absence of the organisers, Pieris visited the hall and made the fans satisfied by singing six of his songs. Asangi Chandima Wijesuriya who was one of the organisers of the event when contacted over the phone said she did not like to utter a word against Pieris that would disgrace him. She alleged that a group of people led by a powerful businessman in Anuradhapura had plotted to disrupt the show and sabotage the event. She had made a written complaint regarding it to the OIC of Anuradhapura Police. Wijesuriya said since Pieris informed her that he will not participate in the show and would be leaving Anuradhapura at 5 pm that day, she informed all invitees and fans that the show had been cancelled and advised her agents to halt the sale of tickets. She said however Pieris had visited the hall around 7 pm and rendered several songs. She said she invited Pieris for the show and she would pay him the money as agreed. Wijesuriya said 44 tickets had been sold in Anuradhapura town but she would refund the money to those who had bought the tickets.